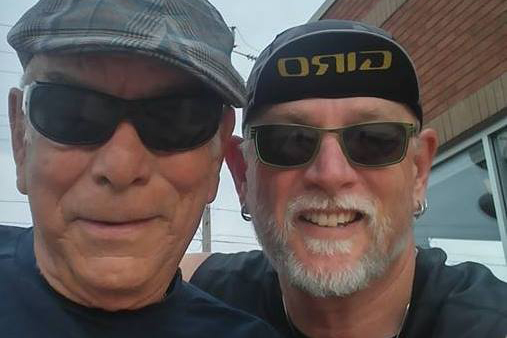 BELLEVILLE – Senior citizens often have to take the bus if they can’t afford a car or can no longer drive, and seniors’ advocates in the Quinte region say public transit is essential for their physical and mental health. Belleville Transit has 10 bus routes, which riders can look up on the city’s website and on Google Maps, which also shows the times they arrive at each stop. There is also an on-demand bus that allows passengers to book rides in advance. Belleville resident Cecil Paul, 83, is in a wheelchair but says he has never had an issue getting around. “I can go anywhere in Belleville if I know the route by bus. And the buses are all wheelchair-accessible,” he told QNet News in an interview this week. Paul published an autobiography in 2017 called Walking is Overrated in which he writes about not letting his handicap hold him back from his accomplishments. In the book, he explains how he used to drive but lost his ability to do so after two unsuccessful rotator cuff surgeries. Now he relies on public transit. “I’ve never, ever had a problem,” he said in the interview. When he gets on the bus, anyone sitting in the front seats moves to accommodate his wheelchair, he said. But outside of Belleville, there are limited transit options in Hastings or Prince Edward counties. Lorraine Elder Ross, the education and support co-ordinator at the Alzheimer Society Hastings-Prince Edward‘s Picton office, says she sees many older people experiencing hardships when they lose their driver’s licence. There are dedicated transit services for seniors, such as the Quinte Access bus and Community Care‘s escorted transportation program, Elder Ross said. But passengers have to plan their days around the times that trips are available, which can be challenging, she said. Not having the freedom to get around affects all aspects of life, she said, and so improving regional transit would help seniors enjoy a more regular routine. “Having that independence of transportation is essential for their well-being,” she said. There are several groups that offer support for seniors, including the Greater Bay of Quinte Area chapter of CARP. 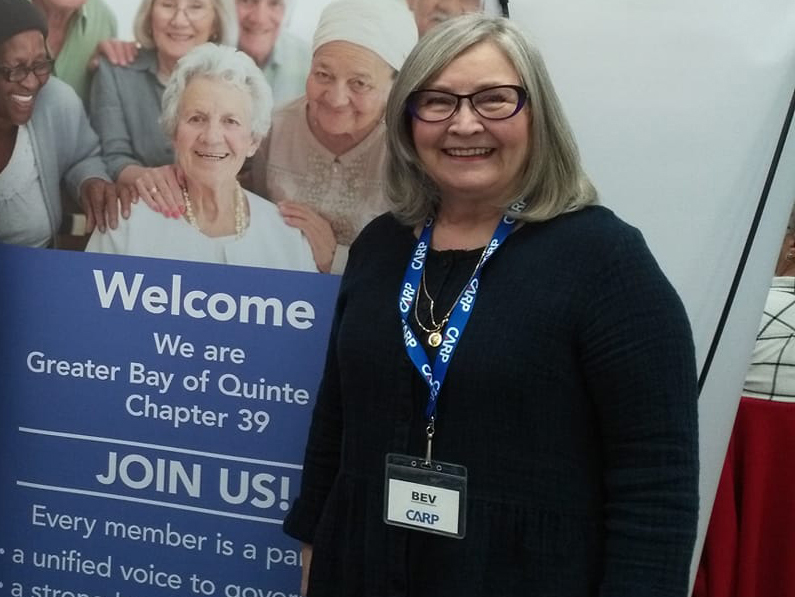 Formerly the Canadian Association for Retired Persons, CARP has refocused its efforts around advocacy for seniors’ issues, said Bev Buchanan, the president of the local branch. Bev Buchanan, president of the local CARP branch, is organizing a meeting with Mayor Mitch Panciuk of Belleville, Mayor Jim Harrison of Quinte West and Mayor Steve Ferguson of Prince Edward County to discuss affordable housing. Photo via CARP – Greater Bay of Quinte Area’s Facebook page. Buchanan said the organization has made the issue of affordable housing for seniors a priority, and having access to reliable public transit is an essential factor for seniors looking for somewhere to live. She is preparing a meeting with the mayors of Belleville, Quinte West and Prince Edward County in the coming months to discuss housing issues. “Sometimes (a potential home is) set out in a beautiful location, but if people have to have their own cars to get anywhere, it’s often just not feasible,” she said. “Living in the Hastings area is pretty difficult if you don’t have a vehicle. Loyalist College journalism students are hosting a regional transit forum to bring community members together to discuss the possibility of expanding transportation in the area. It was originally scheduled for this past Tuesday but was postponed due to the inclement weather. Its new date is yet to be confirmed.